"Dr. Patel saved my "LIFE" I would absolutely recommend him." "I owe my life to Dr. Patel Anand. #10. 100%>. " "Dr. Patel is an exceptional person and a very competent and professional physician." "I was very impressed with the testing completed and the degree of care provided"
"Met the care provider for the 1st time, do not know much about him. His analysis seemed to be good - about - me." 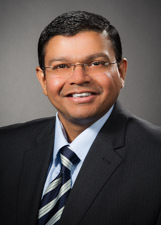 "Dr. Patel gave very clear and comprehensive explanations of my possible diagnosis. " "Anand Patel is wonderful and nice to talk to - make sure you understand - wish him all the very best for the future." "First time visit with Dr. Patel. I was impressed on how well he was prepared to review my condition and his thought on how to process." "I already. recommended he and his staff toothers." "Dr. Patel has been very thorough in explaining reason for test." "This provider speaks fluently and always explain everything in details." "Dr. Patel was just terrific!" "I was impressed with the thoroughness and time spent in evaluating & explaining my condition." Compared to people who don't exercise much at all, those who engage in light to moderate physical activity may have less severe strokes.